MQM or the Muttahida Qaumi Movement is a secular political party which was founded back in 1984 by its former leader, Altaf Husain. Currently, however, there are two divisions of this party; the foreign one in London and the other one running here in Pakistan. The former is being led by Altaf Hussain whereas the local one is being head by Farooq Sattar. The strength of the party lies in Karachi which is the largest and most industrialized city of the country. It was originally representative of the Muhajjir community in the city who are the specific Urdu speaking people and still majorly is a voice of that community. The party has had the most uncertain history when it comes to highs and lows and even though the popular image of the party isn’t a good one these days, their positive contributions to the country must never be ignored. What other parties or other provinces fail to do is understand the whole existence of this party and its electoral success for the past two decades. One can simply not gun point a millions of people to vote for them in every elections; there has to be something else and this is what other people do not understand. To understand the party and how it has worked in the city, it would make sense to go all the way back to the days of partition. Altaf Hussain was then the person who gave a social standing to this party and worked solely for the rights and opportunities of the Muhajjir community. People began to acknowledge the efforts of this person who spent all his time working for the success of the party .New members started joining the party and took their oath in protecting the Muhajjir community for as long as they lived. 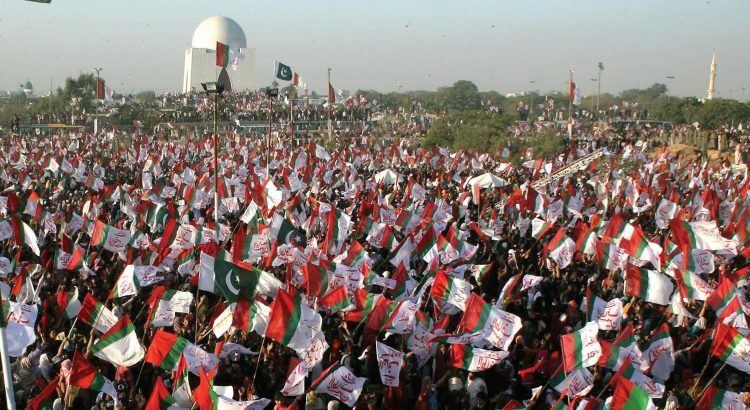 MQM party was given a new birth by Altaf Hussain and the Muhajjir community was able to regain their position that they initially should have been given after the partition. Moreover, Weakening MQM is certainly going to give rise to the more Jihadist organizations which will not entirely turn out to be in favor of the country or particularly Karachi. If there is a democratic system, then it should be left to the people to decide whether they want MQM as their leader or not. Likewise, it is important for the layman to first understand the party’s history, how it evolved over the years and then decide if he/she really wants to stand in opposition or proposition.